Beginning Monday, Feb. 22, the trail along US-36, between Black Bear Hole and 2nd Avenue, will be closed for reconstruction. This includes the pedestrian bridge at Black Bear Hole. The closures are anticipated to last three weeks. An Active Adult Birthday Celebration will be held at the Walt Self Building on February 26, 2016 at 1pm-3pm. We will be celebrating active adults 50+ birthdays for the months of January and February. We welcome all Active Adults 5+ to come and enjoy coffee and cake along with free chair massages, entertainment and a dynamic speaker. Please stop in and celebrate your neighbors birthday! Let’s gather and enjoy reading some great literature! This is a book club for Active Adults 50+ meeting at the Walt Self Building. The first book is an amazing novel called, "The Guernsey Literary and Potato Peel Pie Society" by Mary Ann Shaffer. To be a part of the book club, you must RSVP by either calling 303-823-8250 or e-mailing llegault@townoflyons.com to sign up. There is limited space (10 total copies available at the library). Next, starting Monday 2/22/16 you can go to the Lyons Library to pick up your copy of the book. This book is available in 1 large print and 1 audio as well. The book club will meet on Thursday March 24th from 12:30-2PM at Walt Self to discuss the book and decide on the next book to read. The American Red Cross Babysitter’s Training course is fun and fast-paced with hands-on activities, exciting video, role-plays and lively discussions. Youth ages 11 to 15 learn child-care, first aid, leadership and communication skills. The class participant fee includes a Babysitter’s Training Handbook, Emergency Reference Guide and CD-ROM for babysitters to use in the class and on the job. 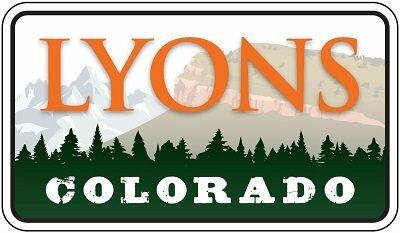 Class will be held in the Lyons Town Hall Board Room on April 16th from 9 AM - 4:30 PM. The cost for this class is $55 per person. There is a minimum of 5 and a maximum of 15. Class will be taught by Lori LeGault. For more information and to register for Babysitter’s Training, contact Parks and Recreation at 303-823-8250 or llegault@townoflyons.com. There is a minimum of 5 and a maximum of 8. Registration ends April 13.